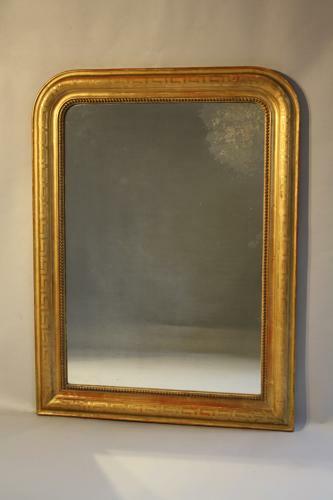 A good size gilt gesso archtop overmantle mirror - the frame has a lovely burnished greek key design. French C19th. The mirror plate tho original has a small circular area of age spots to the right hand side- see images.